COLUMBUS, Ohio — Artemi Panarin didn't need to score a goal to have a big impact in his first game for the Columbus Blue Jackets. 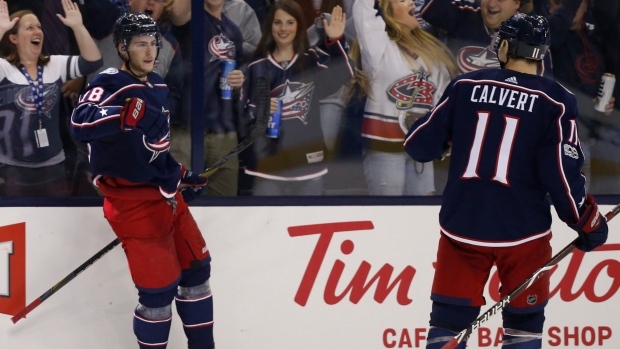 Acquired in an off-season trade with the Chicago Blackhawks and touted as the elite scorer Columbus needs, Panarin had three assists and passed sharply in the Blue Jackets' 5-0 victory over the New York Islanders on Friday night in the season opener for both teams. Milano scored on Columbus' first shot of the season — 1:07 in. Oliver Bjorkstrand shovelled the puck out from the back wall to the 21-year-old Milano, who snapped a 10-footer past goalie Thomas Greiss. The 19-year-old Dubois — the third overall pick in 2016 — got his first NHL goal , a wrister from the slot 1:25 later to make it 5-0.